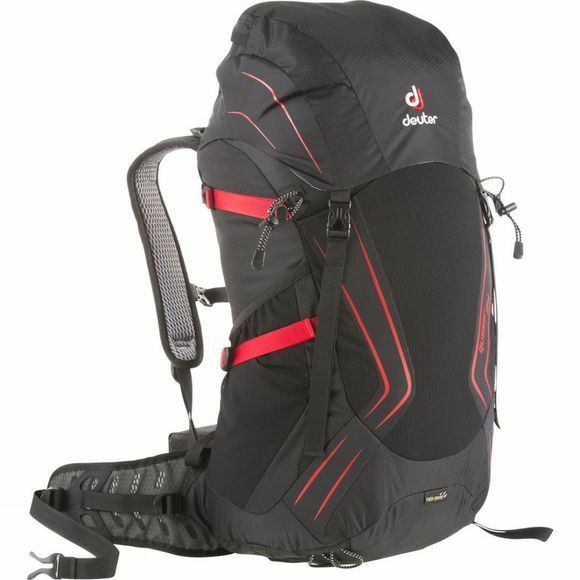 The Helium 34 Rucksack from Deuter is a durable and lightweight hiking pack that offers excellent comfort thanks to its anatomical shaping at the hipbelt and shoulder harness. It features a large main pocket to stash the main bulk of your gear while a top lid pocket, stretch mesh side pockets and a front stash pocket are perfect for stashing things you'd prefer to keep close to hand such as a beanie, waterproofs or your water bottle. The side compression straps are essential for stabilising your load when the bag isn't full and the detachable rain cover can be deployed when the heavens open to ensure your kit stays dry. Walking pole and ice axe attachment points make this more than suitable for year round adventures, wherever they may take you.